I love building robots, but I also love inspiring and teaching others. I’ve told my story and given technical robotics presentations at university engineering departments, STEM High Schools, community colleges, all-girl schools in rural Appalachia, science museums, and professional conferences. I just gave the keynote presentation at the Women in Technology conference. Here my sister and I are visiting a children’s hospital in New York City where many of the kids haven’t been able to leave their beds for months. So we brought our robots to them and taught them how to drive a Mars Rover! 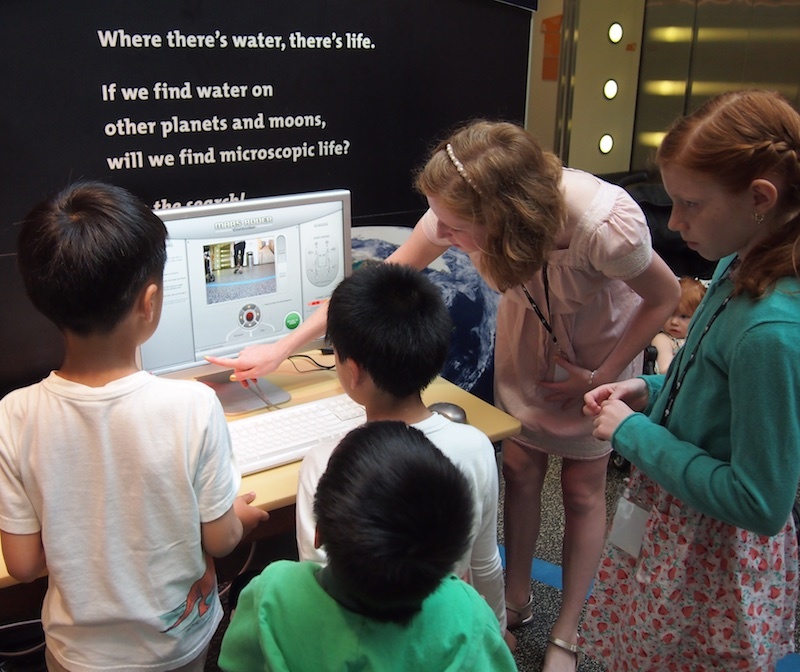 Here I’m teaching some kids at the New York Hall of Science how to drive the Mars Rover (which were we just installing that day). In our workshop, we took on a senior from Carolina Day School as an intern. He had completed all the robotics and computer programming classes at his school, so they sent him to us. 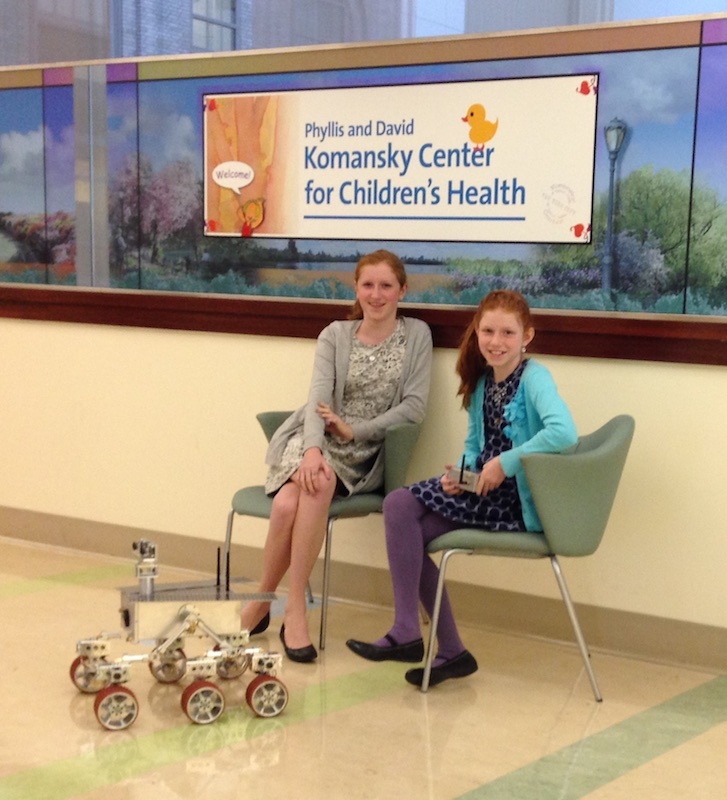 It was great to work side by side with other kids interested in robotics. We taught him how to use the tools in the machine shop, how to solder wires, and many other things we had learned in our shop. It was great fun. In this picture, I’m showing him how to use the vertical mill to machine parts. 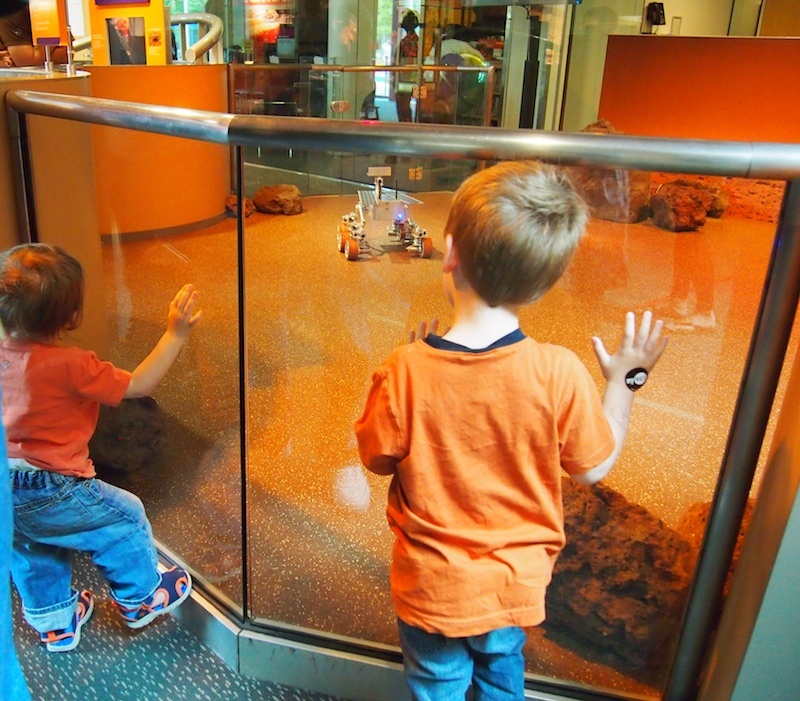 I love this photo of these little boys gazing wonderingly through the glass toward the Mars Rover.